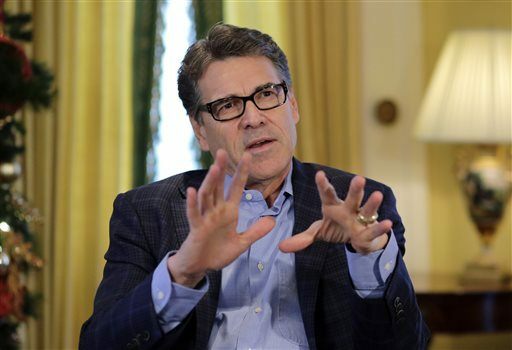 AUSTIN, Texas — The legal fees to defend Texas Governor Rick Perry since he was indicted by a grand jury last August for two felony charges have passed the one million dollar mark, according to the latest campaign finance report filed by his PAC, Texans for Rick Perry. Perry had threatened to veto the funding for the Public Integrity Unit of the Travis County District Attorney’s Office after the Travis County District Attorney Rosemary Lehmberg was arrested for drunk driving and was caught on video being abusive to law enforcement officers. All together, these legal fees total $1,074,240. An additional $76,500 was reported as being paid for “legal defense consulting” to three payees: $17,000 to John P. McConnell Inc. in Washington, D.C., $17,000 to Matthew Scully of Scottsdale, Arizona, and $42,500 to The JBH Group in New York. The legal fees represent over half of the PAC’s total expenditures ($2,015,511) during the last reporting period, which covered July 1, 2014, to Dec. 31, 2014. The PAC raised $376,581 during that same time, and reports having $2,859,665 remaining in its account. The Texas Lawyer article quoted a number of other attorneys who questioned the steep price of Perry’s legal fees, but acknowledged that his attorneys were nationally recognized and these kind of fees were not unheard of for highly prominent cases. Geary Reamey, a criminal law professor at St. Mary’s University School of Law in San Antonio, said, “He’s hired people to represent him in this matter who are very expensive, because they have very high profiles. So if they are charging him an hourly rate for their services I’m sure that hourly rate is quite high. In a short amount of time you can run up an awful lot in expense.” Reamey said that an average criminal defendant might spend less than $10,000, maybe even less than $5,000, to get to this pre-trial point in the proceedings, but complex cases naturally cost more. District Attorney Pro Tem Michael McCrum, a former federal prosecutor who now owns his own criminal defense law firm in San Antonio, was appointed to serve as Perry’s prosecutor because of the obvious conflict of interest that the Travis County District Attorney’s Office would have. Records show that McCrum received $97,797 in taxpayer funds for his work up to the grand jury indictment in August 2014. He was unable to provide an estimate of his post-indictment legal fees during the subsequent five months.